2013: Firefox, Ubuntu will "Attack" Android, iOS? Home » News Android » 2013: Firefox, Ubuntu will “Attack” Android, iOS? 2013: Firefox, Ubuntu will “Attack” Android, iOS? Firefox and Ubuntu are two latest mobile OS smartphone platform joined the battle will enter a new phase in 2013. Android and iOS dominate the top of the mobile world, but this did not stop the competition, both old new, trying to grab a share of the lucrative pie. Recently, the company Canonical statement put the Ubuntu open source operating system to mobile phone and performed Ubuntu on Galaxy Nexus at the consumer electronics show CES 2013. May 01/2013, BlackBerry 10 will be released. BlackBerry 10 is considered to be the last chance for RIM to win competitive advantage in the smartphone war. Meanwhile, Microsoft is pushing Windows Phone 8 hoping to pass the BlackBerry smartphone operating system and become the No. 3 behind Android and iOS. 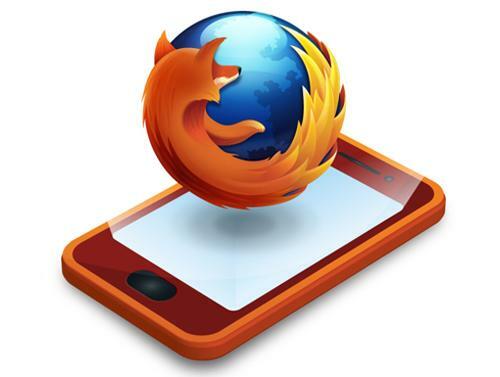 Mozilla also hopes to enter the smartphone world with phone Firefox Web-run. 2013 promises to be the start of the 2nd largest smartphone platform war, after the war in late 2010 – mid 2011. At that time, Android and iOS in the highest position, while Nokia’s Symbian has basically been removed from the game by the Windows Phone cooperation between Nokia – Microsoft. A few months later, HP abandoned WebOS and has not come back with Android, Windows Phone or WebOS Open. In 2013, consumers have at least 6 smartphone platform to choose. Is the smartphone market has enough room for all 6 competitors? Over the next 12 months, if there is a small platform to make the breakthrough? large platform impaired? or those who are working knife sank the boat? Let’s review the six opponents of the war years. 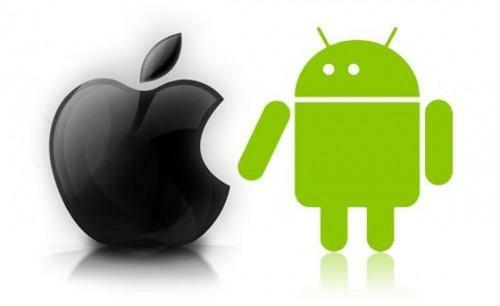 Although this is two different operating systems, even two fierce rivals compete, to the mobile market, may be combined Android and iOS together, because the corresponding mobile platform Googleand Apple will continue to be the top choice for most customers. Both software platform offers smooth and highly stable in the latest version (Jelly Bean iOS 4.2 and 6), each platform has huge app store from its three operating on a variety of devices and are supported by the online service useful Google Now and iCloud. Have the most potential candidate for 3rd place behind Android and iOS seem to be Microsoft’s Windows Phone 8. 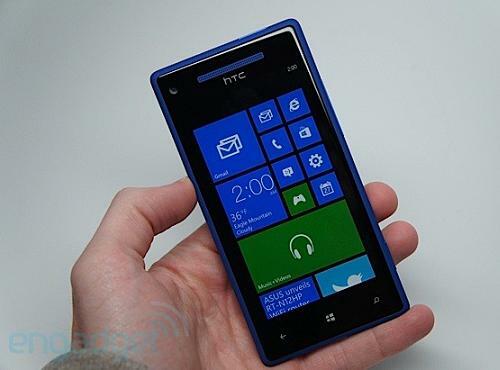 Windows Phone 8 has received good reviews from critics and a number of manufacturers such as Huawei, Samsung has been prepared to introduce Windows Phone 8 devices at the Consumer Electronics Show CES 2013. Another candidate for 3rd place behind Android and iOS is the operating system BlackBerry 10 RIM is about to be released by the end of the month 01/2013. At that time, RIM will announce the price and release plans first two devices running BlackBerry 10. RIM’s new mobile operating system will be tabbed interface similar to HP’s WebOS. Primarily towards emerging markets, Mozilla has partnered with telecom Telefónica of Spain to release series devices running Firefox first in Brazil in 2013. The last major candidate is the Ubuntu OS for Canonical smartphone. Smartphone running Ubuntu does not require physical buttons and fully based on Interoperability stroked to control device. Ubuntu for smartphones to use all four sides of the device to perform different functions. For example, manipulating claws from the left will cause the operating system to display a user’s favorite applications. 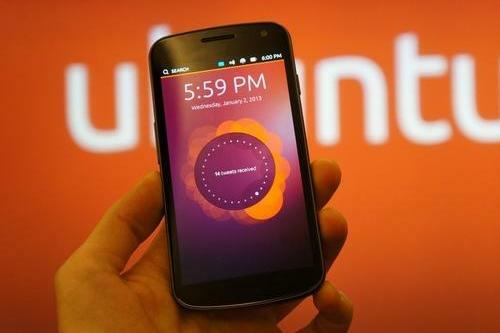 Canonical just performed Ubuntu on the Galaxy Nexus at CES 2013. 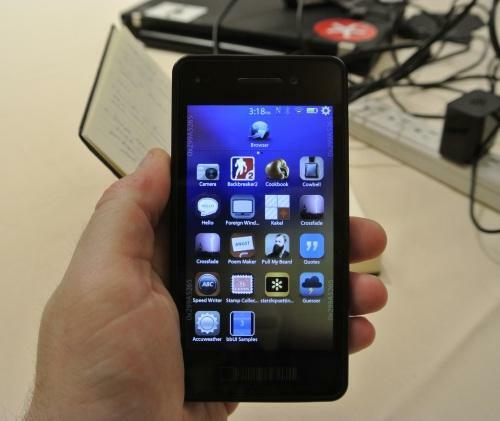 The first phones running Ubuntu is expected to appear in late 2013 or early 2014. In addition to the above 6 operating system, the smartphone market has a small number of operating systems including Open webOS – open source version of webOS – and Tizen is also a open source mobile operating system.